The Power of Christ Compels You!, or: Kicking Arse for the Lord! Out of all the heroes in Shadows of Brimstone, the one I always found most interesting is the Preacher. Might have something to to with me often playing the Cleric in AD&D back in the day. 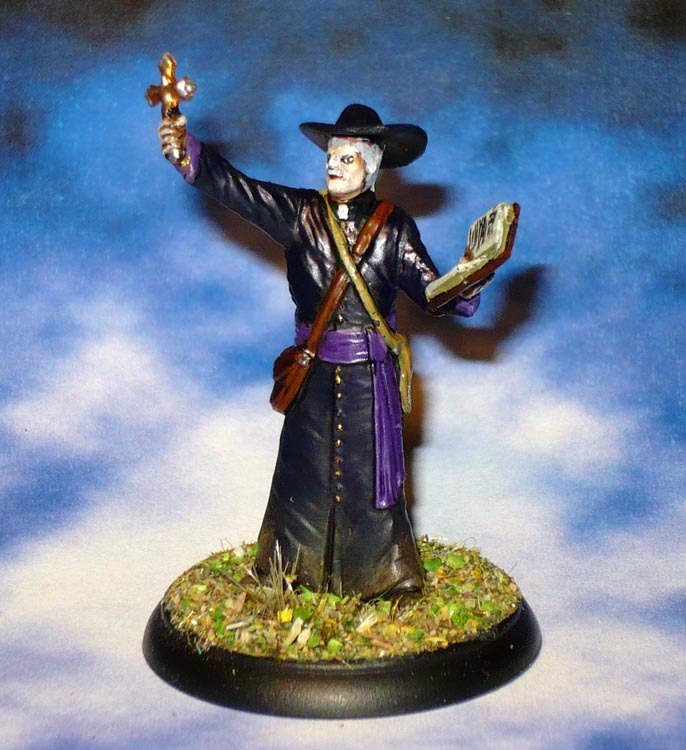 So here is Father Patrick “Dies Irae ” O’Murphy. Ready to Kick Arse for the Lord! NextTo baldly go where no small blue alien has gone before!